I was browsing through some codechef problems and found that solutions to the problems submitted by others are not visible ( for the contests which are already over ). 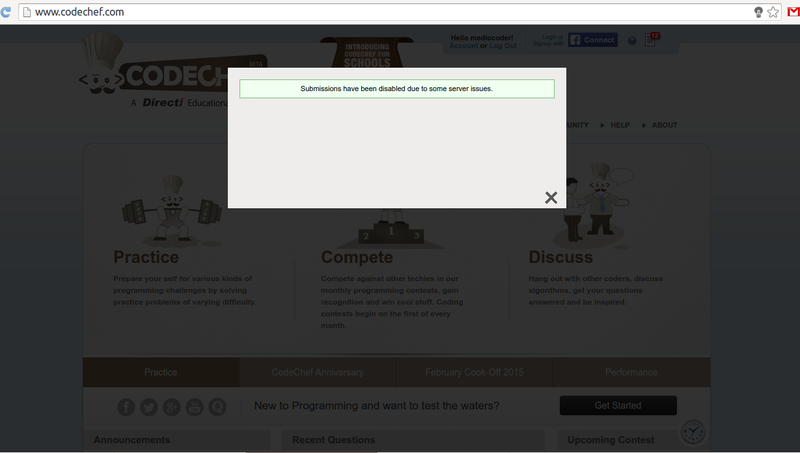 Even my own solved submissions are not visible anymore. Wherever I click on the " View " button, the page redirects to hoemepage and the following message is shown.
" Submissions have been disabled due to some server issues. " See the attached image as a sample. Is this happening only at my side or any one else is facing this issue ?? EDIT : This problem has been fixed, I can see my as well as other users solutions now.